Walt Disney World Resort has just announced date-based tickets and an online vacation planning tool. 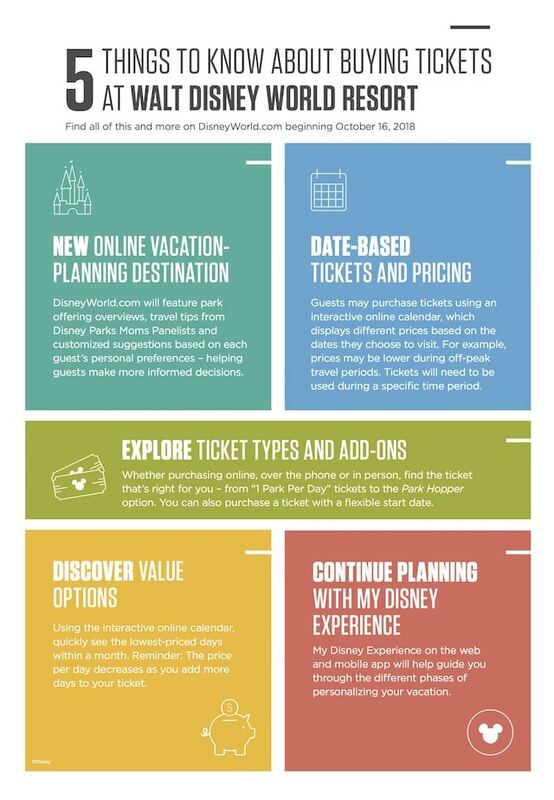 Beginning October 16, guests will access the new vacation-planning destination on disneyworld.com and purchase tickets priced by the date of visit. The online planning tool will give guests an overview of the park offerings, travel tips from the Disney Parks Moms Panelist and customized suggestions based on each guest’s personal preferences. The tool will also offer the ability for guests to see the lowest-priced days within a month. For example, prices may be lower during off-peak travel periods.